The Gisborne Golf Club resides in the foothills of the Macedon Ranges and is consistently rated in the Top 100 Public Access Courses in Australia. 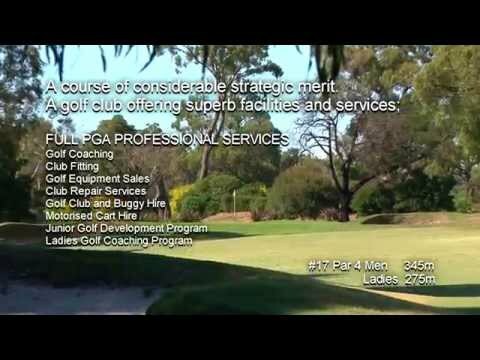 The course is an attractive and challenging 6080 metre, 18 hole golf course located only 40 minutes from the Melbourne CBD, and 20 minutes from Melbourne Airport. Our Vern Morcom originally designed course, has occupied the present site since 1947. Consisting of fully recycled watered lush legend couch fairways, traditional links-style revetted bunkering and small tricky greens, we offer one of the best and most affordable golfing experiences north-west of Melbourne. We can assist with golf club and cart hire, tuition with our Club Professionals and Golf Clinics for Men, Ladies and Juniors. Along with a practice fairway, chipping and putting green and two practice nets to really refine your golfing skills. We invite social groups, corporate groups and green fee players to enjoy the golfing challenge and natural beauty that our proud Golf Club has to offer. In this tranquil environment, you will find an abundance of natural flora and fauna and will enjoy observing bird species all year round. The property is also home to a resident population of over 200 Eastern Grey Kangaroos of which the club now operates Kangaroo viewing tours , the tour goes for around 30 minutes and you can get close up for some fantastic photos of them in there natural habitat .The tourists are transported around the course in a six seater golf cart . The tours currently run Wednesday / Thursday /Saturday & Sunday 10 am till 4.00 pm . The club also welcomes larger groups and can organise a walking tour. Bookings are recommended through the clubs web site or phone the club . Our Clubhouse has one of the largest function spaces in the Macedon Ranges, catering for events of 20-200 guests and an outside deck space where you can appreciate the fresh Gisborne air. We cater to weddings, exhibitions, conferences, parties, concerts and breakfasts, tailoring a package for the most memorable event. * Please contact the Pro-shop on 03 5428 2698 to book your next golfing experience. The Clubhouse is available to accommodate events with a late closing time, tailored to your requirements. * Please contact Monique Mueller on 03 5428 2493 to assist with organising your next event.